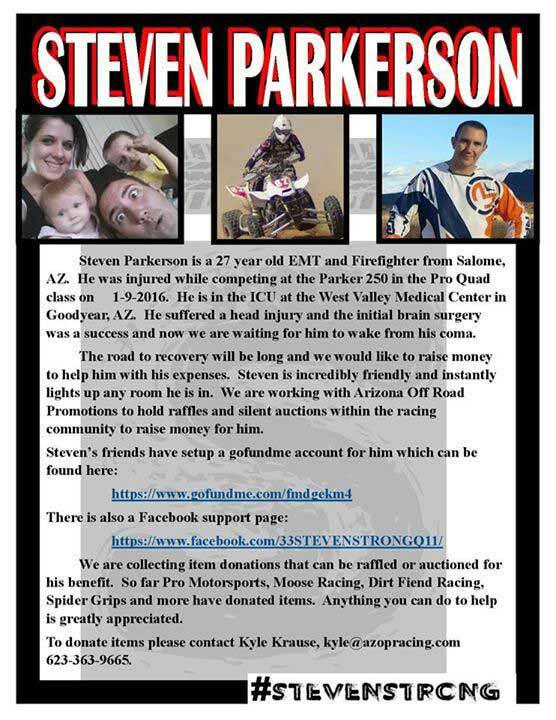 This is the Steven Parkerson fundraiser raffle page. To learn more about Steven please see the flyer below. Steven will need our help for his living expenses, hospital bills and rehab. Please help out. Update 2-10-16 Steven is in a rehab facility and he is out of the coma. He has a lot of therapy and a long road ahead. His memory is spotty and his speach is affected but he is getting better each day. His mom posts a daily update to the @stevenstrong facebook group, check it out! The BITD raffle is over. The Raffle raised $3274.54 after paypal fees. Thank you everyone!!! 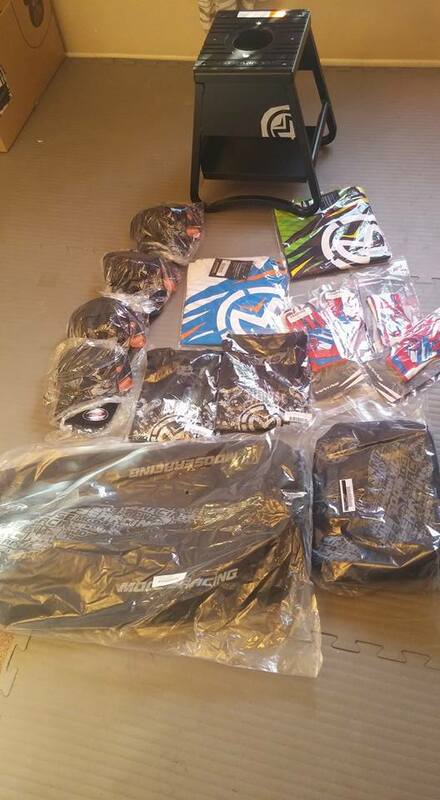 The winners of the Moose Racing and KC HiLiTES items have been notified. Best in the Desert has donated 1 Motorcycle/Quad Pro Entry ($1100) and 1 Motorcycle/Quad Sportsman/Expert Entry ($800) and 1 Pro UTV Entry ($1500) for this years Vegas to Reno "The Long Way". This years race will be amazing read about it here. Moose Racing has donated an $80 travel bag, $40 goggle bag, $80 bike stand and several hats, shirts, gloves and jerseys. 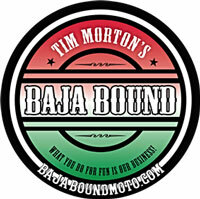 Tim Morton from Baja Bound Moto has generously donated a $1000 voucher towards any Baja Bound Trip. It can be any length ride (3 days to 10 days), with client supplied bike or including use on one of their crf450x's. 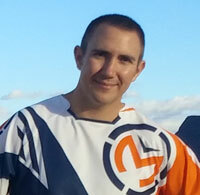 Tim is well known as the best guide in baja for adventure rides. We will draw the winner of this raffle March 7th. How do we contact if you win?